If you want to be enchanted on your holidays, Lithuania is the place to go. Tradition and folklore are deeply ingrained into Lithuanian culture; here, songs, stories and tales only serve to enhance the quietly eccentric vibe that abounds within this beautiful country. A land of differing dialects, lifestyles and atmospheres, Lithuania strikes the perfect balance between distinctiveness and homogeneity; its people may talk in different tongues, but their spirits are as one, and that’s something you’ll get to see first-hand with Travelsphere. 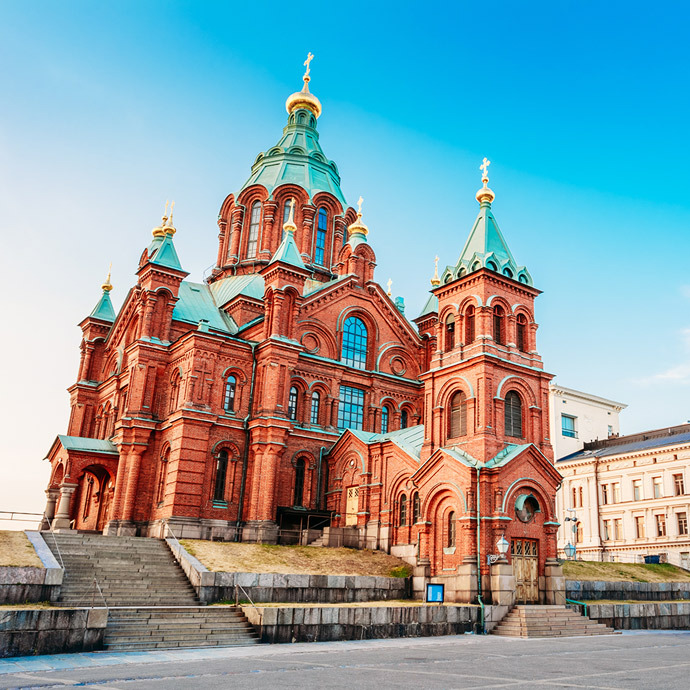 On our Lithuania tours, taking in all that’s great about this remarkable country is part and parcel of the Travelsphere experience; we’ll give you food, fun local facts and fascinating experiences sure to satisfy every step of the way. With Travelsphere’s Lithuania tour packages, you’ll never be left wanting. Lithuania is a dazzling destination. For nature lovers, the country’s vast, verdant forests and crystal-clear rivers and lakes are sure to impress. As you explore Lithuania, you may be forgiven for feeling like you’ve entered a fairy tale; for example, Trakai Island Castle appears modest at first glance, but its detail and pristineness are more than a match for anything from the mind of Walt Disney. Discover Lithuania with Travelsphere and be transported to a storybook land where all your holiday dreams come true!